Dam has very good milk. 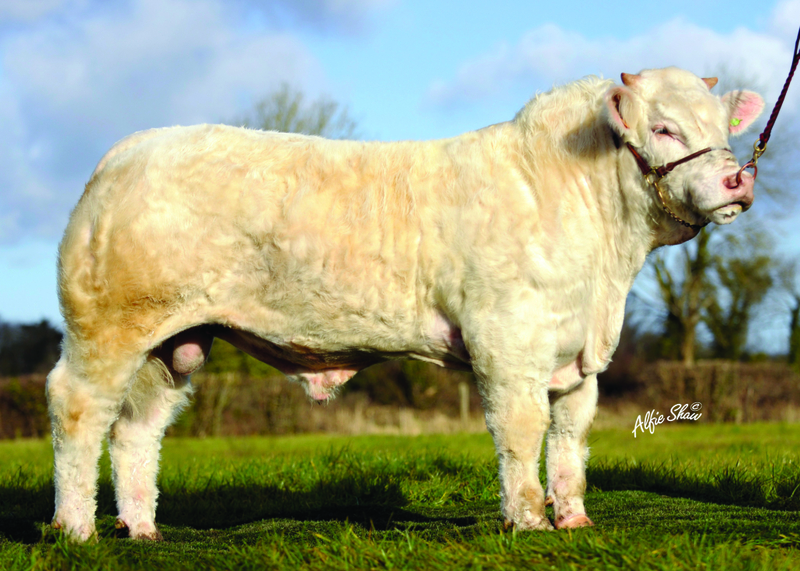 Sire “Amont” produced sons and daughters with exceptional shape, style and correct feet and legs. 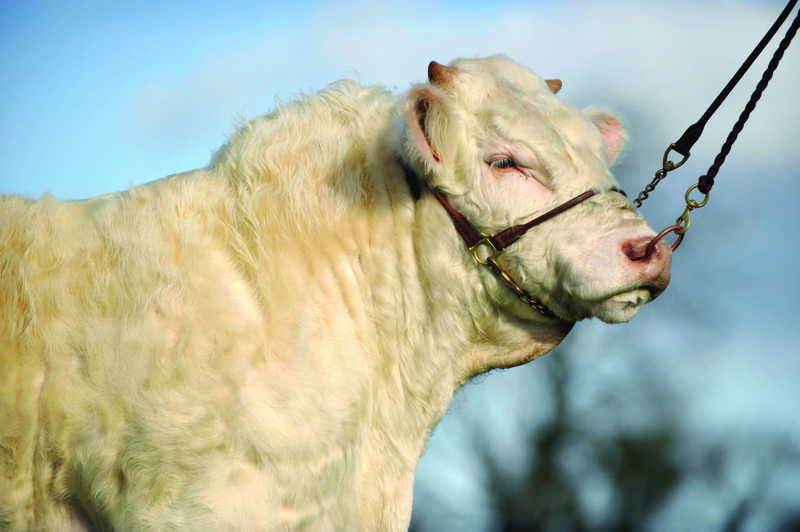 They have strong toplines, fantastic ends and great breed character. 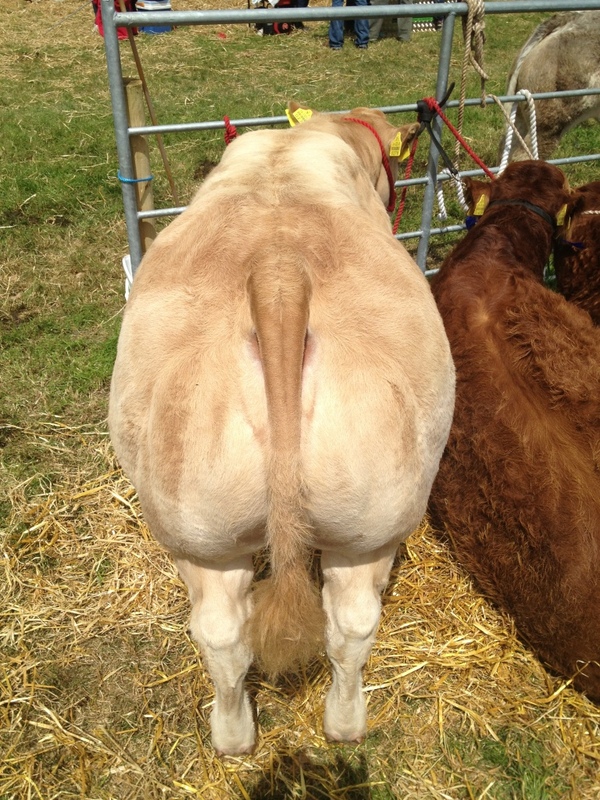 Eclair has made a name for himself amongst pedigree and commercial showmen. 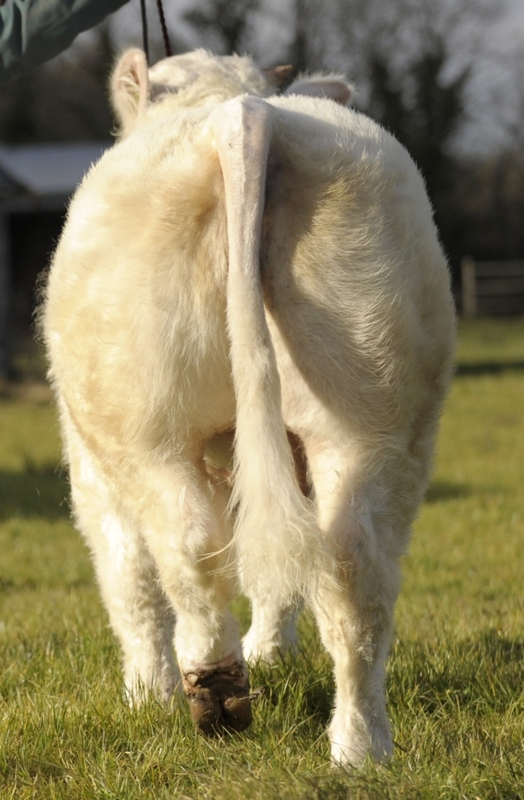 His progeny have very good thickness of hindquarter, strong toplines and great breed character. 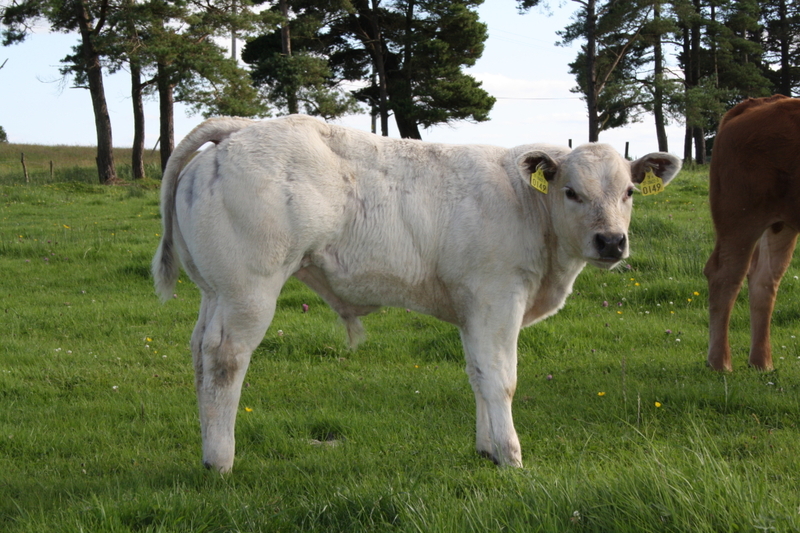 His first calves slaughtered weighed incredibly well with excellent carcass traits. 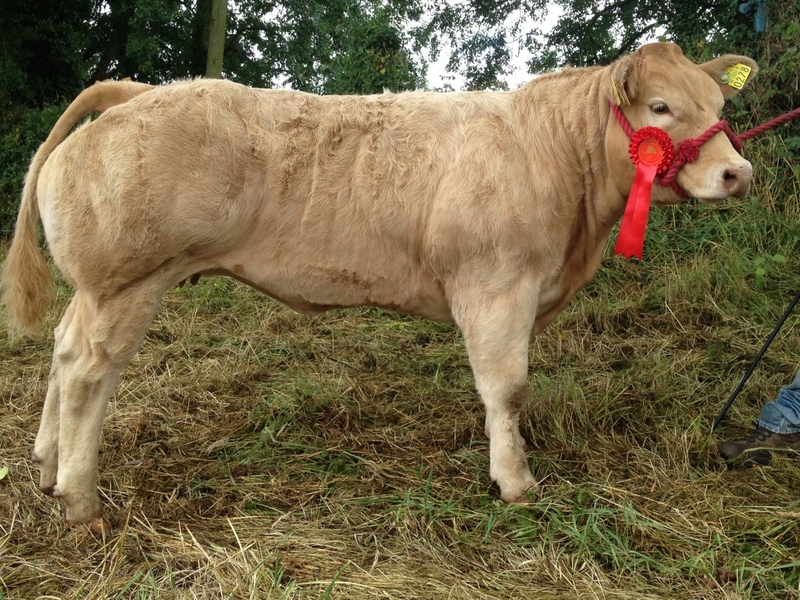 A commercial heifer bought by Mr Eamon O Donovan was 1st prize and Champion at numerous Summer 2013 shows. Use to improve muscling and style. 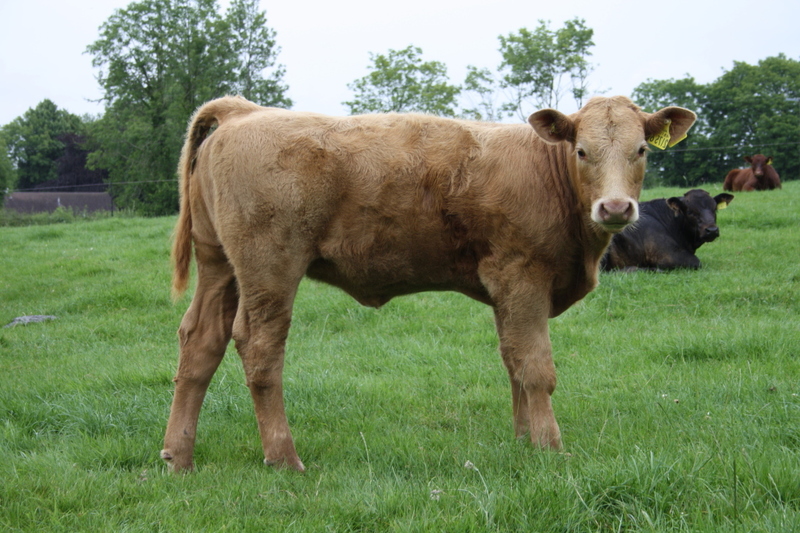 Eclair commercial bull 6 weeks.